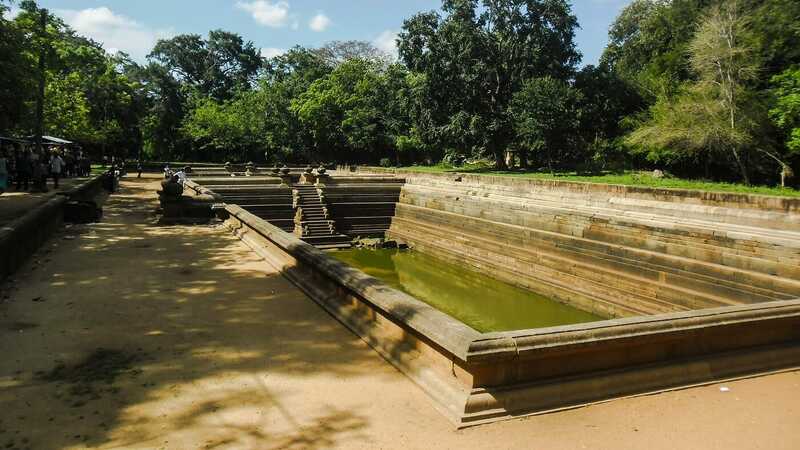 “Kuttam Pokuna” or “Twin Ponds” is a unique creation of ancient architecture and considered as one of the significant achievement in hydrological engineering in ancient Sri Lanka. The pond is located in Sacred City of Anuradhapura in North Central Province, Sri Lanka. As the name suggests, there are two ponds in this creation. 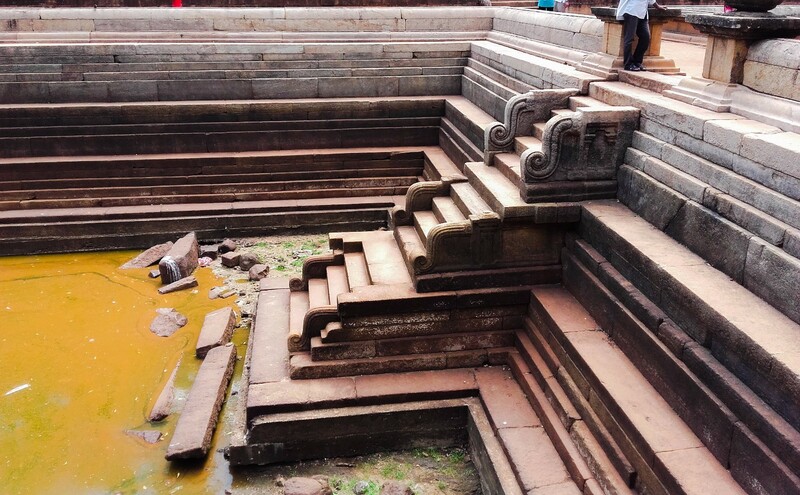 It has been identified that these ponds were used to collect water for the Abhayagiri Vihara monks to bath. The two ponds are not identical and also one seems to be older than the other. The width of the ponds are same and it is 51 feet. The bigger pond is 132 feet long and the other is 91 feet long. There are a number of staircases to get down to the ponds and one pond have two staircases while the other one having three staircases. The beginning of staircases is decorated with the “Punkalas” or pots (the symbol of prosperity in ancient buildings) increasing the aesthetic beauty of this creation. There are evidence that the water in the ponds has been supplied using underground pipes and after going through a number of filters. The water first enters the northern pond through another special design called “Makara Kata” (mouth of a dragon). Then the water flows from to the other via a duct at the ground level. The water from both ponds is drained out from a small outlet located at the bottom of the small pond. 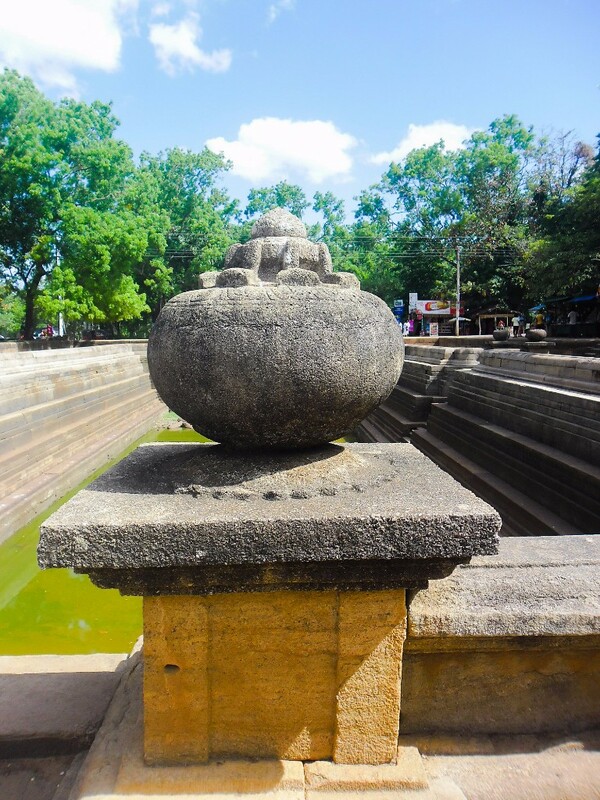 Many creations including this, suggest us that there would have been an advance irrigation technology existed during the Anuradhapura kingdom. 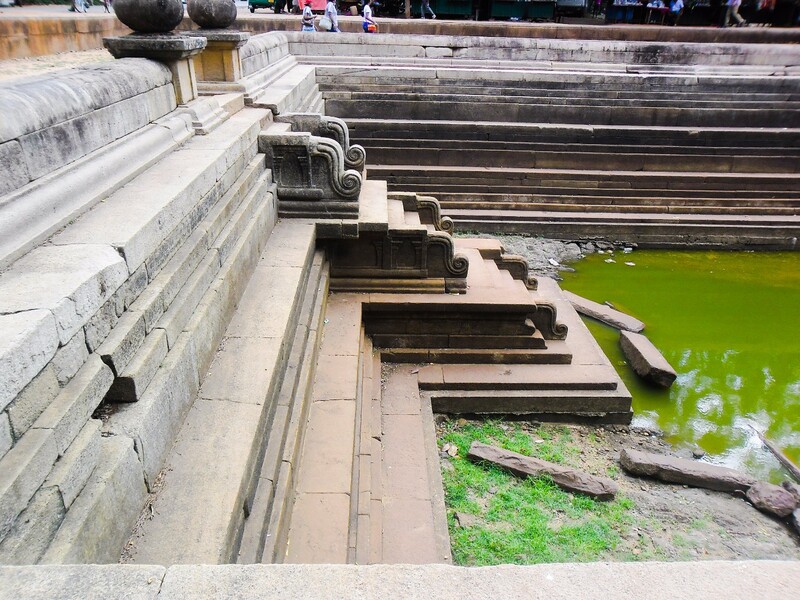 “Kuttam Pokuna” or “Twin Ponds” is a unique creation of ancient architecture and considered as one of the significant achievement in hydrological engineering in ancient Sri Lanka. The pond is located in Sacred City of Anuradhapura in North Central Province, Sri Lanka. As the name suggests, there are two ponds in this creation. 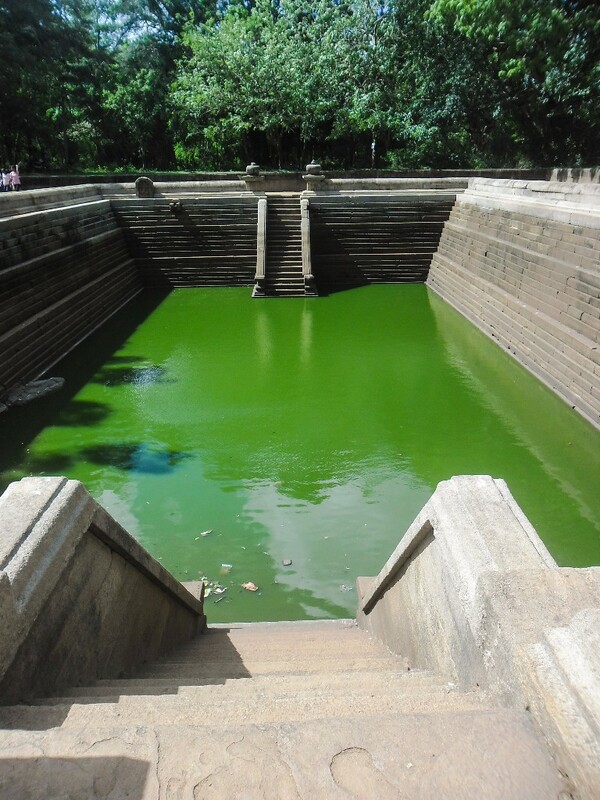 It has been identified that these ponds were used to collect water for the Abhayagiri Vihara monks to bath. The two ponds are not identical and also one seems to be older than the other. The width of the ponds are same and it is 51 feet. The bigger pond is 132 feet long and the other is 91 feet long. There are a number of staircases to get down to the ponds and one pond have two staircases while the other one having three staircases. The beginning of staircases is decorated with the “Punkalas” or pots (the symbol of prosperity in ancient buildings) increasing the aesthetic beauty of this creation. There are evidence that the water in the ponds has been supplied using underground pipes and after going through a number of filters. The water first enters the northern pond through another special design called “Makara Kata” (mouth of a dragon). Then the water flows from to the other via a duct at the ground level. The water from both ponds is drained out from a small outlet located at the bottom of the small pond. 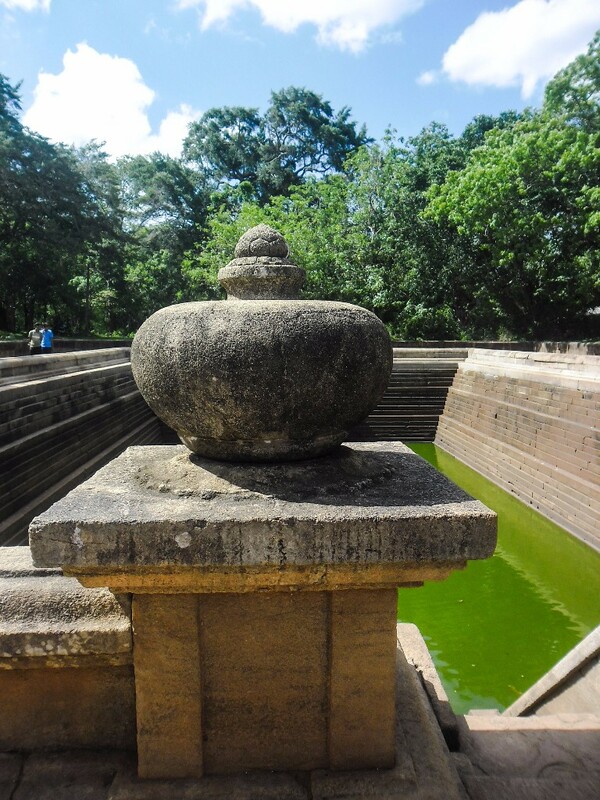 Many creations including this, suggest us that there would have been an advance irrigation technology existed during the Anuradhapura kingdom. 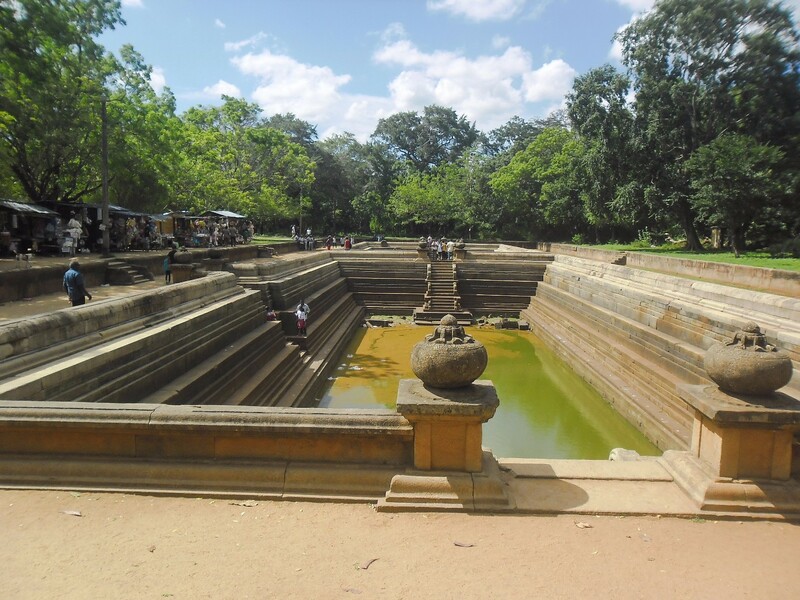 Eth Pokuna or Elephant Pond is a huge man made ancient pond located in the Sacred City of Anuradhapura District in North Central Province. It is 52.7 m in width and 159 m in length. The depth of the pond is about 9.5 m. Supplying of water to the pond has been done by underground channels from the Periyakulam Tank. This water supplying channels are still in working condition even after hundred of years. The pond is surrounded by number of ruins belongs to the Abhayagiri Monastery. Therefore this pond also may be built for the use of monks belongs to this monastery. The Lankaramaya Stupa is one of the Eight Sacred places known as “Atamasthana”. The stupa was built during the 1st century B.C. by King Walagamba (89 B.C. – 77 B.C.). It is located in Anuradhapura District of North Central Province, Sri Lanka. According to chronicales, this place was also known by names Silasobbakandaka and Galhebakada. Initially, this stupa was known as Somarama Stupa in commemoration of Queen Soma who saved the life of the king. There are three rows of stone pillars can be seen around the stupa and it is evidence that there had been a house built encircling the stupa (called “Vatadage” in Sinhala) to protect it. The Jetavanaramaya is one of the Eight Sacred places known as “Atamasthana”. 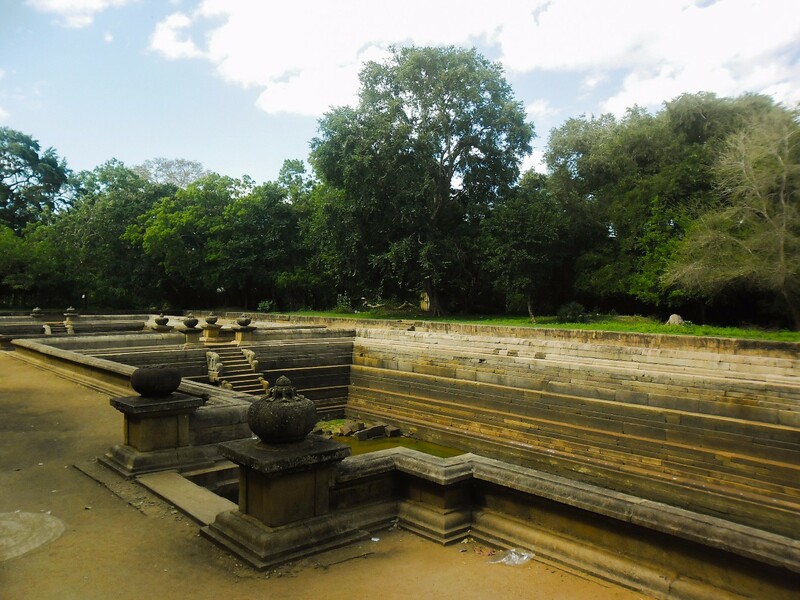 It is located in the Sacred City of Anuradhapura in North Central Province of Sri Lanka. The Jetavanarama Stupa was built by the King Mahasen (276-303). During the reign of King Mahasen, this has become a center of Sagalika sect (also it is said that Sagalika sect has started in Jetavanaramaya). This stupa was rehabilitated for the last time by King Parakramabahu in 12th century. It is believed that this stupa has enshrined a part of a sash or belt tied by the Lord Buddha. Originally this was 122m high and said to be the highest stupa built with bricks in the world. Also, this is the 3rd largest structure in the ancient world. The present height of this is 71m. The stupa compound is spread over 8 acres and length of one side is about 175 m long. There are stairs at each of the four sides to get onto the compound. 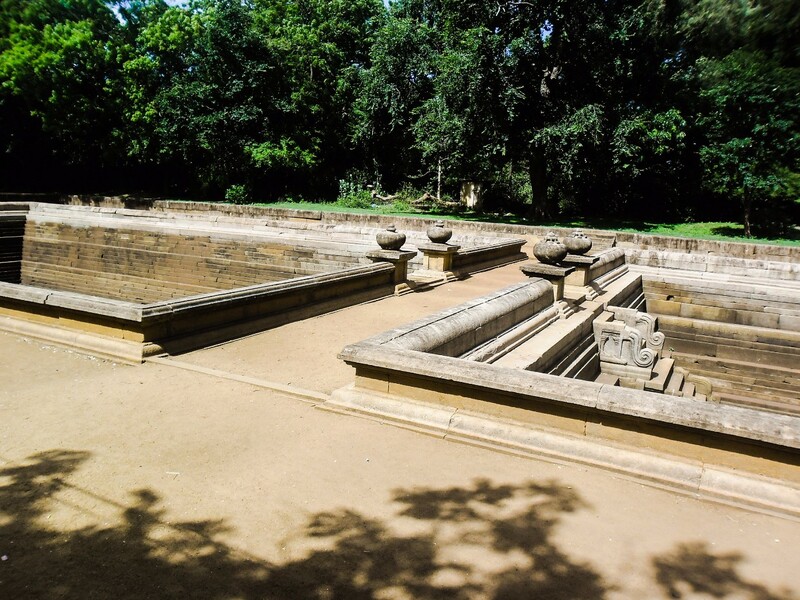 At each of the fours sides of the stupa, there are ruins of four gateways (“Vahalkada” in Sinhala) and they evidence that there were some carvings and arts on them. There are ruins of a number of ancient buildings around the stupa. © 2019 lankatraveldirectory.com, All Rights Reserved.